This post was sponsored by Tervis. All opinions are 100% my own. If you are from the south then you already know that iced tea is a must have drink 365 days a year. Well sometimes in the summer we like to take it up a notch and add something a little sweet, like strawberries. 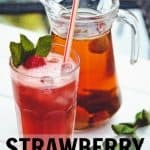 This Strawberry Iced Tea is perfect for any hot summer day especially when you pair it was the awesome new Tervis Stainless Steel tumblers. Boil 2 cups of water (either by stove or microwave). Add 5 tea bags and allow to steep for a good 10 to 15 minutes. 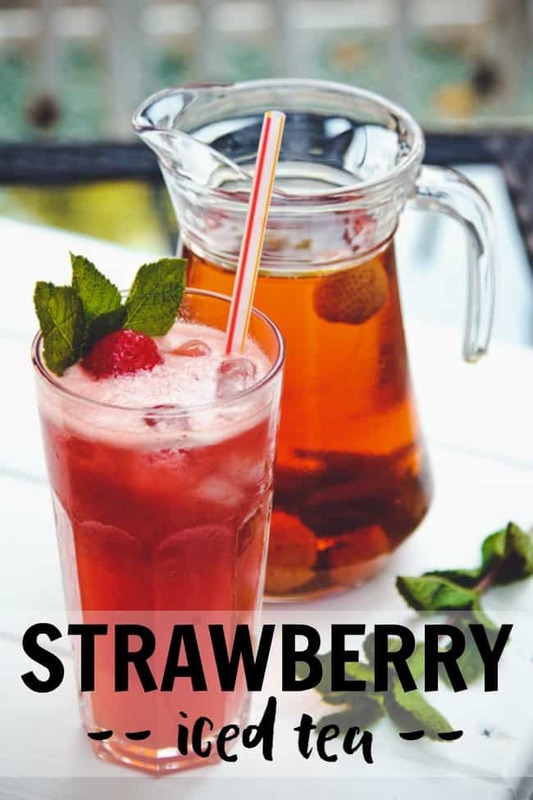 While your tea is steeping prep the strawberries and puree in a mixer or food processor. This is optional but recommended to strain the strawberries with a mesh strainer to discard the pulp and seeds. 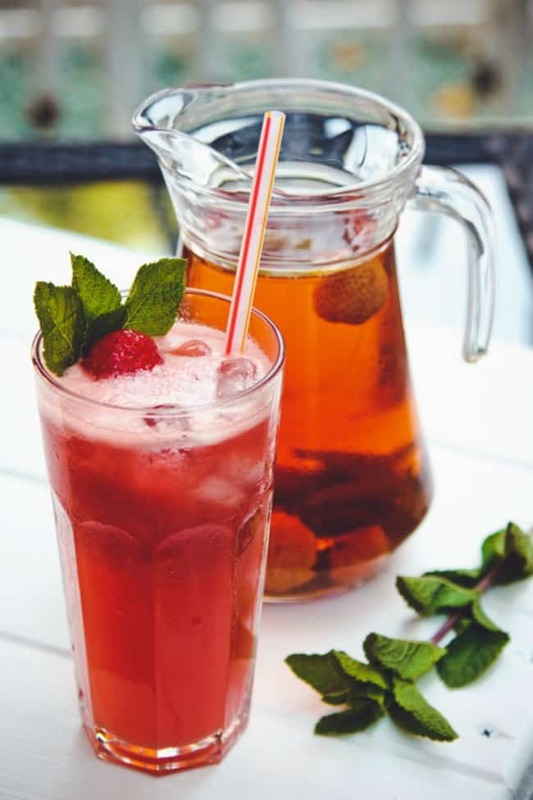 Mix your strawberry juice, sugar and tea together in the tea pitcher. Now add the additional 4 cups of cold water. Refrigerate until cold or serve with ice right away. Top with mint garnish if desired. Like I mentioned above, the new Tervis Stainless Steel tumblers are perfect for a tall glass of this tasty summer drink. What I love about these new tumblers is that they keep your cold drink cold for 24 hours. Which means the ice will melt a whole lot less and if you are a coffee drinker they will keep your hot drinks hot for up to 8 hours. 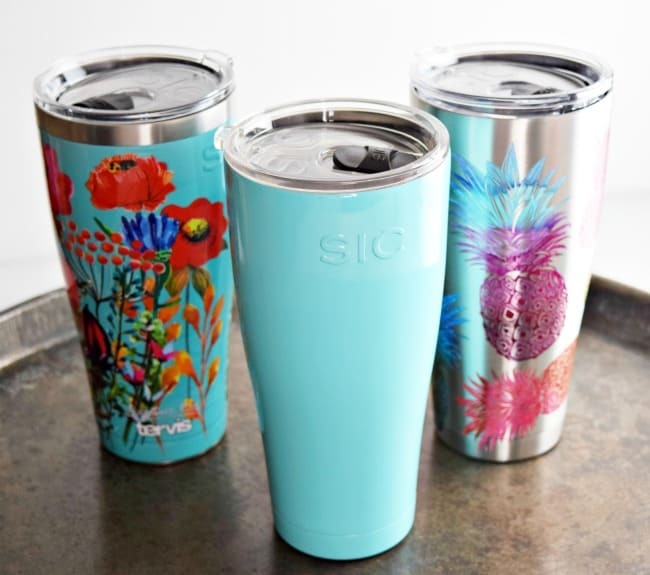 These stainless steel tumblers are double walled with a vacuum technology. 18/8 Stainless Steel and copper lined that helps them have max temperature retention. Not to mention they offer a splash proof, easy close lid. 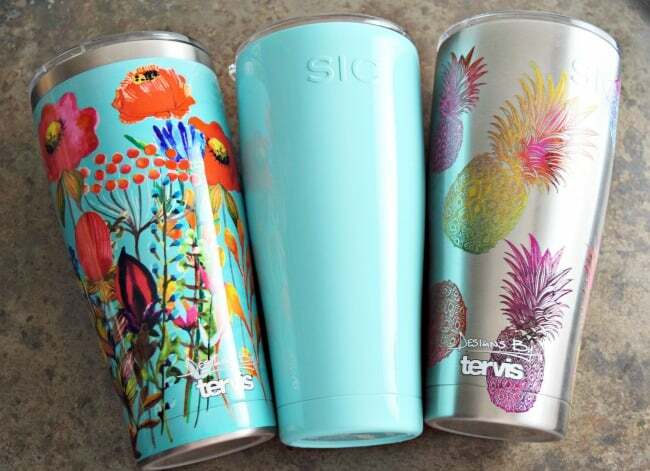 If you are looking to pick up one of these Tervis stainless steel tumblers you will glad to know they offer so many different patterns and solid colors. You can even customize one with your own photo. Cool right? Here are a couple that I really love. 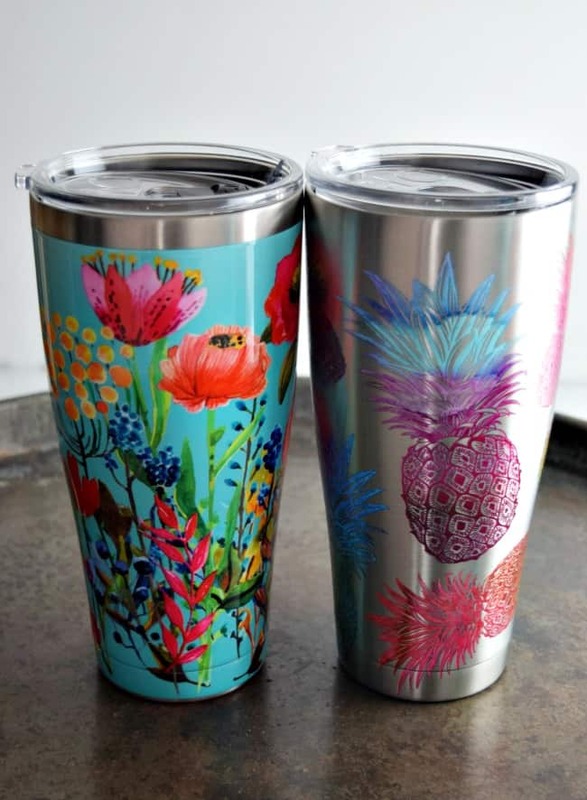 How gorgeous is that floral pattern?